Kids’ Club: A complimentary Alta Lodge amenity for over twenty-five years! 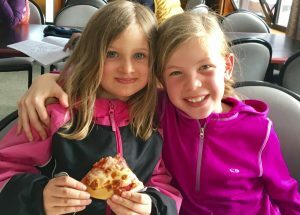 Our Kids’ Club program was designed to make your ski vacations easier and more enjoyable for the entire family. Although our program is geared toward younger guests ages 4 to 12, children of all ages are welcome*, as long as one-on-one supervision is not required. For our young guests participating in ski lessons, our Kids’ Club staff will help you get your family’s ski day off to a great start in the mornings with a shuttle ride to Alta’s Alf Engen Ski School at the Albion Base, as well as a return shuttle in the afternoon. Following a great day on the slopes, Kids’ Club is available après ski at Alta Lodge from 4:30-8:30 pm daily. Our supervised program offers arts and crafts, games, or more outdoor play. Your children can sign up for an early kid-friendly dinner with special menu options (or enjoy a family meal during regular dinner service), and then wind down the evening with a movie, or special event in the Kids’ Room. Your children are invited to attend as many or as few of our activities as they wish. *Children under 4 must be accompanied by a parent or other responsible adult. 7:45 am Enjoy a family breakfast in the dining room. Our buffet has plenty of yummy options to fuel you up. Jammies and slippers are welcome. 8:15 am Gear up for your ski day. Make sure to pack your new Kids’ Club backpack with a snack and extra layers. 8:30 am Grab your skis and meet our Kids' Club staff in lobby for shuttle. 8:45 am Shuttle to ski school (sign up the night before). 9:00 am Ski School - Have fun on the mountain, learn new skills, make new friends! 3:45pm Return shuttle from ski school to Alta Lodge. 4:00 pm Complimentary tea time in Deck Room - Warm up with hot chocolate and snacks. Don’t forget to sign up for Kids’ Dinner by 4pm. Kids' Room opens with supervised après ski activities. Get creative with arts and crafts, play indoor and outdoor games, go sledding, build a snow fort. 5:30pm Kids' Dinner (remember to sign up by 4:00 pm, day of). 6:00pm More evening activities in Kids' Room. Watch a movie, play games, finish crafts. Who are you kidding? You’ve got to be tired! Head back to your room to get a great night’s sleep so you can rock it all again tomorrow. Your children are probably going to be hungry after ripping it up on the slopes! If sitting through a 4-course family meal is not their idea of fun, they can head to the dining room early for a supervised kid-friendly dinner – with menu options to satisfy even the pickiest of eaters. Nightly offerings include pizza, pasta and chicken fingers (and of course plenty of fruit, veggies and dessert). Don’t worry parents, we haven’t forgotten about you! While your children are safe, having fun, and making new ski buddies, you’ll have the opportunity to connect and unwind with time for the hot tub and sauna, an in-room massage, après ski in the Sitzmark Club and a ‘date night’ dinner for two. 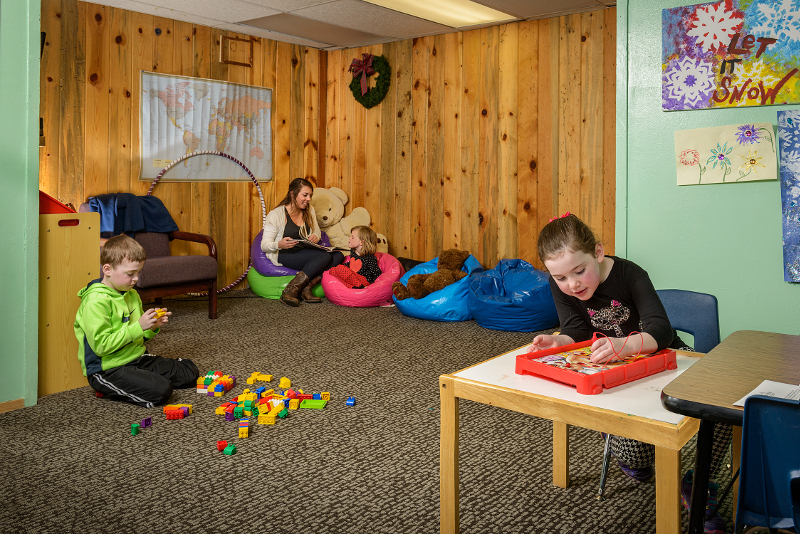 Come see why kids and parents alike rave about Alta Lodge Kids’ Club! Need childcare outside of Kids’ Club? Check out these Alta childcare options.